When it comes to partnering with patients to keep their smiles whole and healthy, your Metairie dentist and dentistry team at Nelson Dental Care place an emphasis on preventive services to help you avoid oral health concerns. Delta Dental benefit plans also emphasize prevention, offering the greatest percentage of treatment coverage for regular dental exams and teeth cleanings. If you have Delta Dental insurance coverage or you want to make the most of any dental benefit plan, please let our team know when you call to schedule an appointment. Our knowledgeable dentistry team members are happy to put their years of experience handling dental insurance claims to work helping you to make the most of your benefit plan. Every patient’s Delta Dental insurance policy is different. Your coverage will depend on selections you make and those made by your employer. You will often have the opportunity to pay a higher monthly premium for a policy that offers expanded coverage. 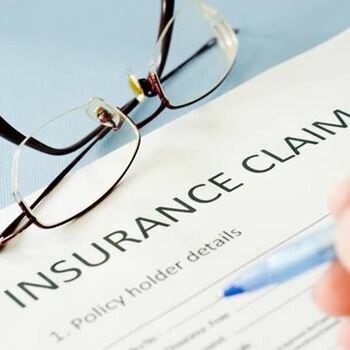 In order to provide accurate coverage estimates, we’ll need to review your unique policy. However, Delta Dental policies typically offer the highest percentage of coverage, between 80 and 100%, for dental exams, teeth cleanings, and other preventive services. For minor restorative treatments like fillings, Delta will usually offer 70 to 80% coverage. For more advanced restorations like dental crowns and replacement teeth, you can expect to receive 50 to 70% coverage. Insurance benefits for other services, like orthodontics and dental sedation, are outlined in specific policies. We will need to review your insurance documentation before offering estimated coverage for these treatments. 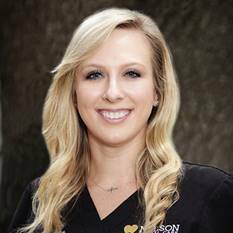 Originally from right her in Metairie, Courtney loves having the opportunity to serve her hometown community as a member of the Nelson Dental Care team. Courtney studied at the University of Louisiana at Lafayette, and she went on to work in the legal field for many years before entering the dental industry. She greatly enjoys putting her knowledge, experience, and attention to detail to work, helping patients to make the most of their dental insurance coverage. If you ever have questions about your Delta Dental benefit plan, please don’t hesitate to give Courtney a call today. She’ll be happy to partner with you to maximize your insurance coverage and minimize the out of pocket costs of dental care.